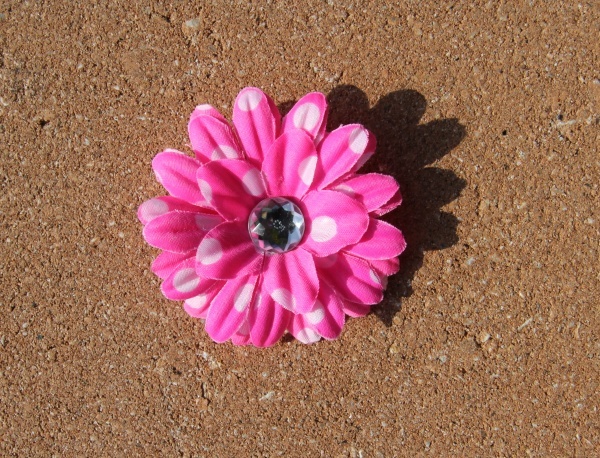 This sweet little daisy will look so good on your little daisy girl! This is a hot pink color with white polka dots daisy Gerbera flower hair clip. It is ready to go into her hair, the alligator clip is lined with a white grosgrain ribbon. Mix it up with a lime green headband or a white beanie hat to make this 1 pc have several great looks!